How Much Should You Give For A Living Inheritance? When you make a will, you decide who is going to get your money in the event of your death. The hope is that you not only set up the next generation for financial success, but you also pass along positive financial values they can carry throughout their lifetime. Over the next three decades, it is estimated that roughly $16 trillion globally will pass from one generation to the next - the largest such transfer of wealth in history. Wealthy baby boomers are aging, but many are not waiting until they pass before passing on at least some portion of their net worth to their children and grandchildren. It is a trend known as "living inheritance" and it recognizes that children often need money earlier on - i.e. to pay for an education, student loans or a down payment on a home - as opposed to receiving inheritance later in life, when they tend to be more self-sufficient. In Canada, according to a Royal Bank of Canada survey, 61% of baby boomers plan to pass money during their lifetime. There are also challenges associated with providing a living inheritance, particularly if it involves a significant transfer of wealth before they are ready to manage it properly. It raises a simple but important question: How much do you give and when? A term that I like to use when speaking to parents and grandparents about giving money to children while they're still alive is "responsible inheritance". The advantage of giving money to your children while you're alive is that you get to see them enjoy it and they will benefit from creating their own wealth at an earlier age. The risk is that you could see your wealth squandered if your child isn't capable of appropriately managing the inheritance. In fact, according to the Williams Group wealth consultancy, 70% of wealthy families lose their wealth by the second generation, and a stunning 90% by the third. There are many estate planning strategies to consider when it comes to responsible inheritance. Give a small amount of money to your children versus a lump sum, and see what they do with it. This will help to alleviate the fear that your children will be ill-equipped to handle the sudden wealth and spend the money all at once. Have your children make and save their own money, regardless of your ability to contribute. For example, have your children pay for their post-secondary education and reimburse them afterwards instead of paying their tuition and living fees upfront. This is a useful way to encourage your kids to learn to appreciate the value of a dollar and gain experience dealing with money. Set up an incentive trust. A common example of an incentive trust is to provide a certain dollar amount when your child achieves a milestone, such as graduation or getting involved in social causes like volunteering. Many parents also call for trust distributions that match the child's income, so for every dollar the child earns, the parent will contribute the same amount in the trust. The goal is to reward or encourage certain positive behaviours. 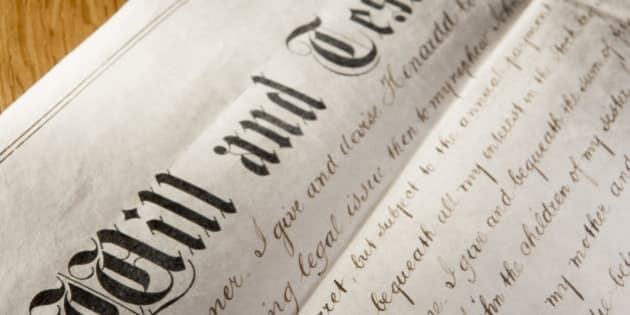 It's important to note, however, that there can be technical and legal challenges associated with incentive trusts, so it's important to consult an estate planning professional. Set up a testamentary trust, where distributions are activated when your child hits a certain age. In my practice, the most common age to pay out a testamentary trust is between 30 and 40 years of age, when children are more established in their career and making bigger financial decisions. More importantly, it is important to teach your children about finances (ideally beginning at an early age) and the path to wealth accumulation. Many children only learn about finances when they're on their own for the first time. Adopting a savings mindset early on will help to put in place good financial practices. Regardless of how much you give and when you give it, be open with your children about your financial position and how you intend to leave your legacy. With some planning, you can set up your child for success when it comes to spending an inheritance and also to carry on your financial values.